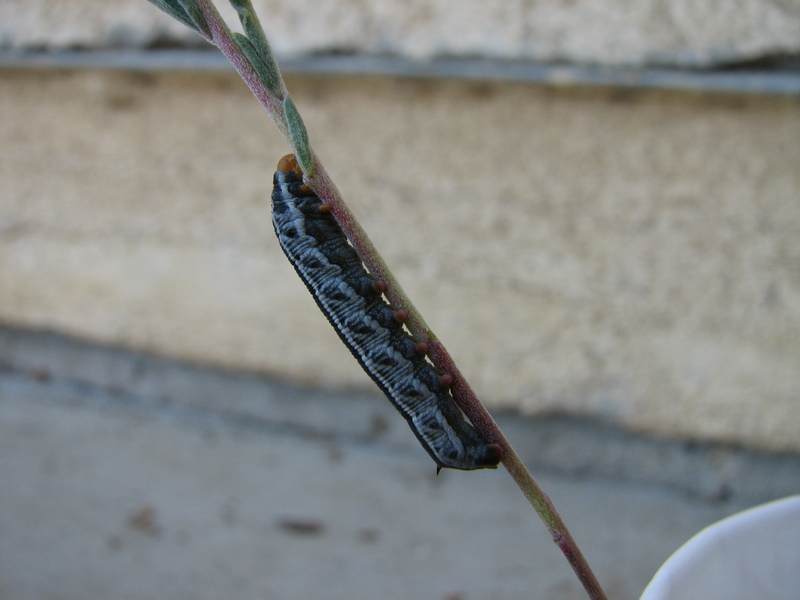 Observation notes: The larva was collected feeding during the day on a Clarkia sp. (wild not in a garden). This the dark form. 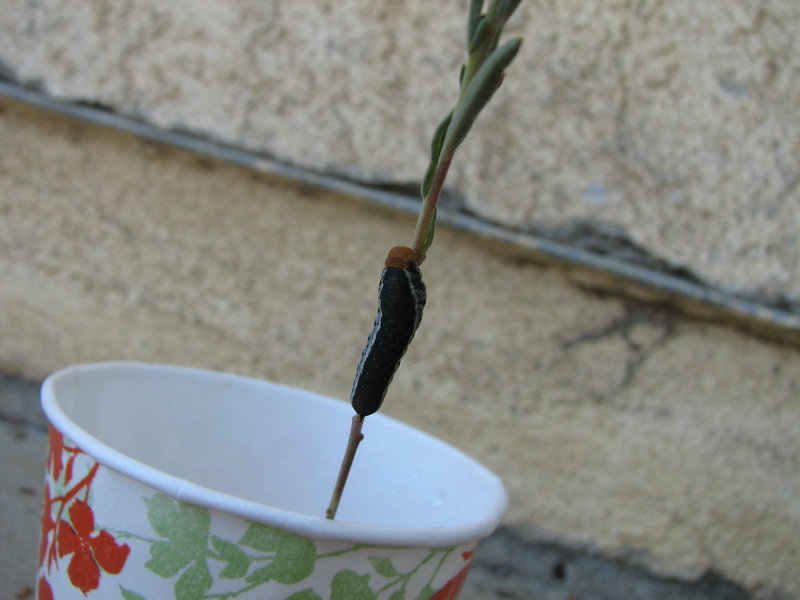 It is in fourth instar. It was reared to the wandering stage before pupation, but then died of internal parasitoids (a species of fly).